Adventure is interpreted myriad ways. For thrill seekers say it’s action packed, like hiking the Torres del Paine in Chile or snorkeling the Aitutaki lagoon in the South Pacific. Wildlife enthusiasts experience it with every waddle of a king penguin or breach by a humpback whale. Culture buffs get their fill viewing Inuit art while gourmands savor delectable tapas. With Silversea Expeditions there’s no need to identify as one style of adventurer. The line’s global cruises give you the best of the world, allowing you to explore every thrilling and humbling aspect of discovery—and what it truly means to you. These itineraries allow you to delve deep into the essence of the world’s most remote wonders. With a fleet of Zodiacs, you’ll be able to explore even the most off-the-beaten-path locations. More than mere sightseeing, our complimentary on-land excursions offer remarkable insights. Each land exploration is conducted in small groups and is always accompanied by a specialist. 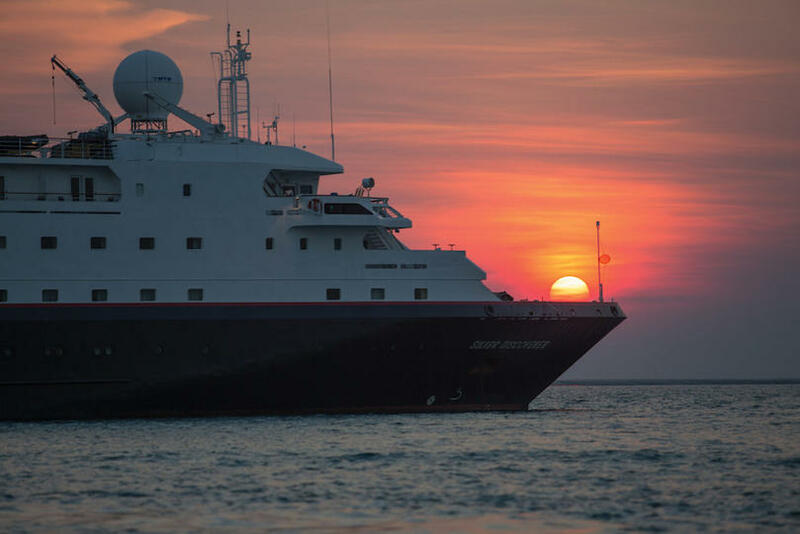 Enrichment Voyages are all-encompassing experiences—adventure at its finest. • Enjoy free roundtrip economy air or business class roundtrip for $2,950 on select 2018 and 2019 voyages booked by September 30, 2018. 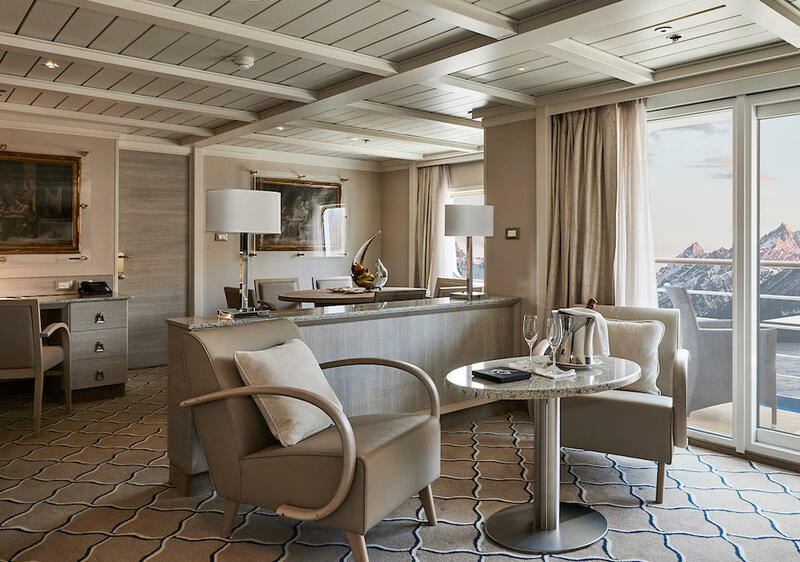 These two itineraries operated year-round by Silversea Expeditions are among AFAR’s favorites for exploring the archipelago. Both will allow you to get closer to natural beauty and wildlife encounters, whether it’s hiking, snorkeling, or cruising by Zodiac. Led by a team of expert guides and lecturers, you will fully experience these iconic isles as only Silversea can show you. 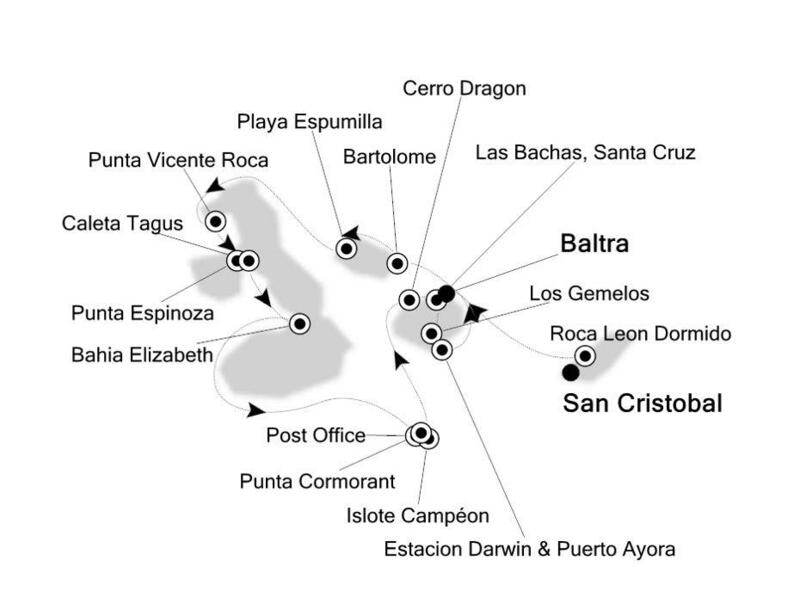 On Silversea’s North-Central route you’ll visit nine of the islands in the archipelago in a week-long itinerary. 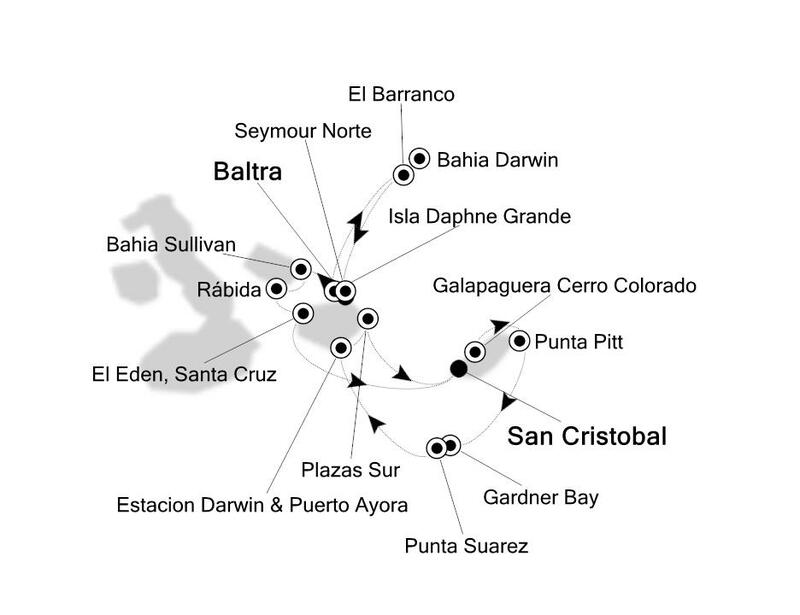 You’ll call not only at major ones like Santa Cruz and San Cristobal, but also some of the less visited islands like Genovesa, with its collapsed caldera. The island is a birder’s paradise, a place where you can see two species of boobies nesting. Española is the most southerly island and one of the richest in terms of wildlife—it’s the only place in the world to see the nesting waved albatross. The trip concludes in Santa Cruz, which is the only place to see the Galápagos tortoise in the wild. • Gaze upon majestic shield volcanoes and towering Pinnacle Rock. • Meet the world’s largest colony of marine iguanas. • Ride in a Zodiac past red mangrove trees. • Explore the whaling history of Floreana. The Western Islands are home to the only active volcanoes in the archipelago and are known both for their spectacular volcanic landscapes as well as penguin spotting—over 95 percent of Galapágos penguins live on these islands. On this week-long itinerary, you’ll visit seven islands, as well as a number of smaller islets, and see countless marine iguanas, fur seals, and sea turtles. It’s also the only area where you can spot the endemic flightless cormorant. Other stops along the route include the Charles Darwin Research Station, Post Office Bay where sailors have dropped off and retrieved letters since 1813, and Champion Islet with some of the best snorkeling in the archipelago. • Watch for blue-footed boobies, red-billed tropicbirds, brown noddies, brown pelicans and other seabirds. • Hike along Rabida’s red cliffs and maroon-colored sands. • Enjoy snorkeling, kayaking, and a Zodiac excursion at Eden Islet. • See the Galápagos giant tortoise at the Fausto Llerena Breeding Center. If any place can accurately be described as the last frontier, it is the untamed, frozen land of the southernmost continent. 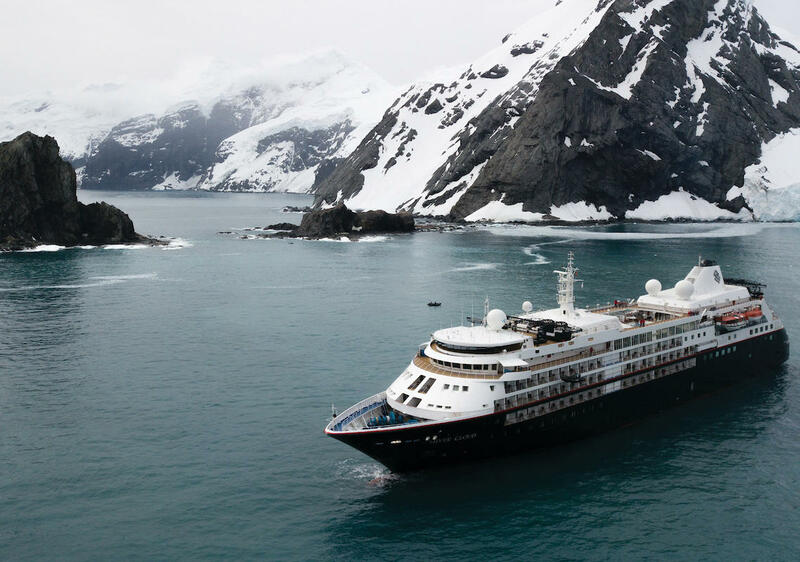 You can experience it for yourself on a Silversea cruise, which takes you from the tip of South America across the Drake Passage, named after the famous explorer who circumnavigated the world from 1577 to 1580. 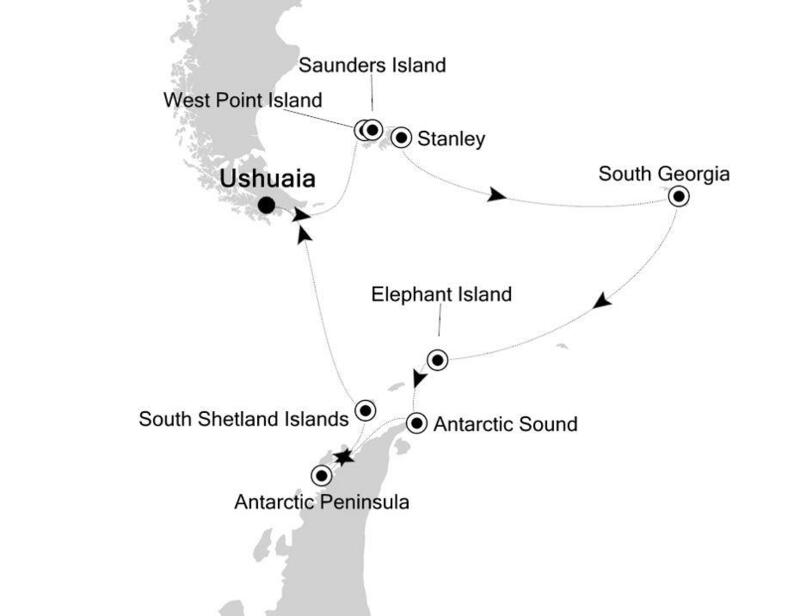 Some cruises also call at two of the world’s most fascinating groups of islands, the remote Falklands and South Georgia Islands. As you continue south, you’ll pass orcas swimming through the dark, dramatic sea before arriving at the Antarctica Peninsula, where seals float by on ice floes and penguins dot the coastline. On this 11-day adventure, you’ll begin your journey in the Argentinian port town of Ushuaia, and then sail across the infamous Drake Passage before you reach the South Shetland Islands and the Antarctica Peninsula. You’ll explore the heart-stopping landscape with its rivers of ice and frozen coastlines. A team of passionate and expert professionals will accompany you throughout this unforgettable journey to the southern end of the world. Zodiac cruises take you to see icebergs, glaciers, and wildlife; with walks and hikes ashore to see huge penguin colonies and seals. When you are at sea, humpback, minke, and orca whales will swim along your ship, the Silver Explorer, while seabirds circle overhead. 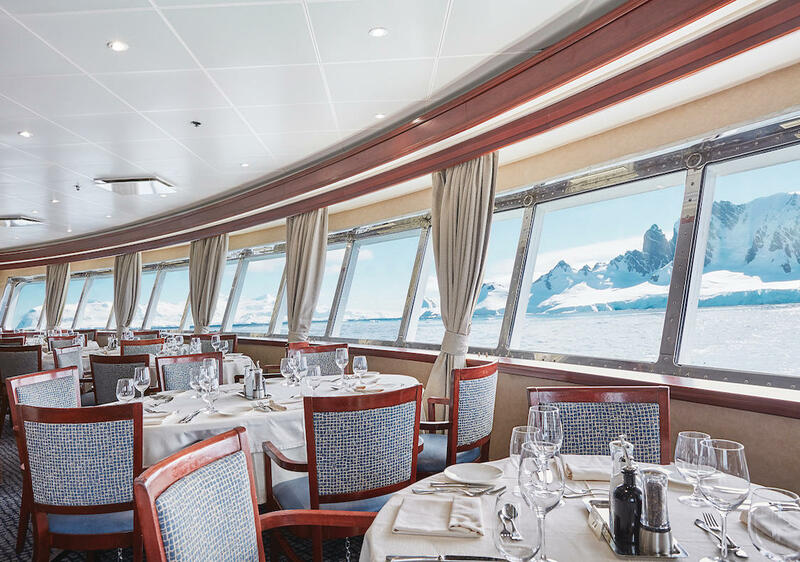 Silversea’s extended 16-day itinerary offers an opportunity for those who want to delve deeper into the environment of Antarctica, Earth’s frozen frontier. 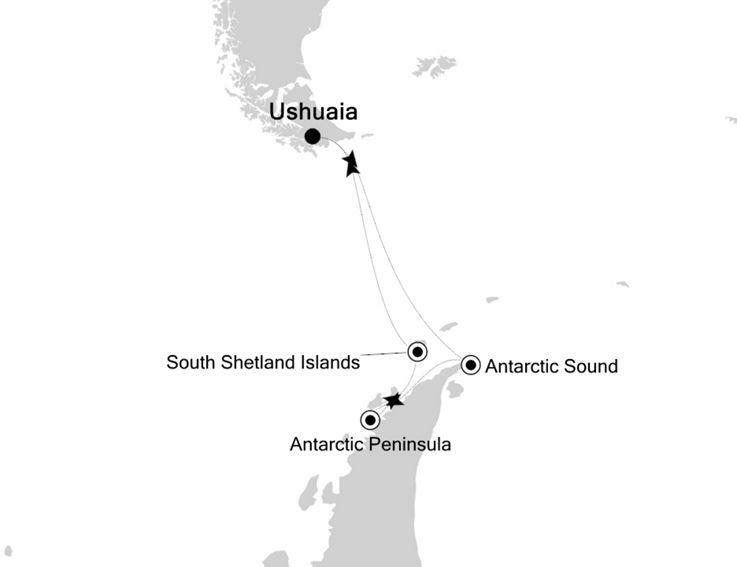 After departing from Ushuaia, you’ll travel to the fascinating outpost of the United Kingdom, the Falkland Islands. This small archipelago is a birder’s paradise, a stopping point for hundreds of different species of migrating birds. 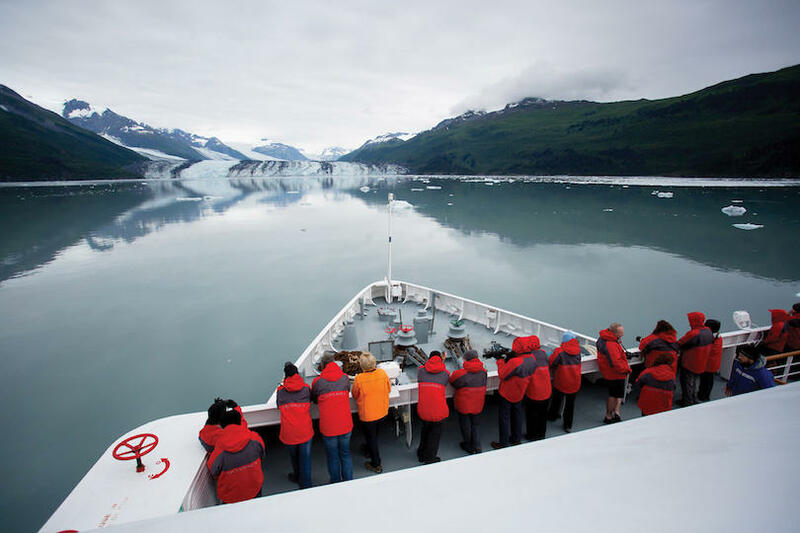 En route, you will sail past sculpted icebergs and calving glaciers. You’ll continue on to another of the world’s most remote islands, South Georgia, which was a stopping point for many polar explorers before you. Once you reach Antarctica, you’ll likely be dazzled by the stunning landscapes, but also be on the lookout for some of the captivating wildlife: penguins, seals, whales, and seabirds. As you return to civilization and make your way across the legendary Drake Passage, the days at sea provide opportunities to learn more about all you have seen, from the natural wonders to the heroic stories of human exploration of this, the most mysterious of continents. If you want to venture farther, explore deeper, and visit places that few other travelers ever see, Silversea has a collection of itineraries perfect for you. The line’s Expeditions cruises to the world’s wildest and most remote corners are designed for those who are passionately curious and adventurous. You can choose from remote atolls in the Indian Ocean; the unknown outback of Bangladesh; the charming and historic ports along Africa’s West Coast; and the monumental grandeur of Chile’s fjords. You can call at ports that are shrouded in legend like Easter Island and the Pitcairn Islands. Or maybe you may want to follow in the wakes of some of history’s most famous navigators, and visit the islands of the Pacific—Micronesia, Melanesia, and the Marianas. From the untamed wilderness of South Africa to the smaller islands of Japan, Silversea’s Expedition cruises span the globe. They have traced routes beyond the ordinary and expected, perfect for travelers who want to visit the world’s most surprising destinations. 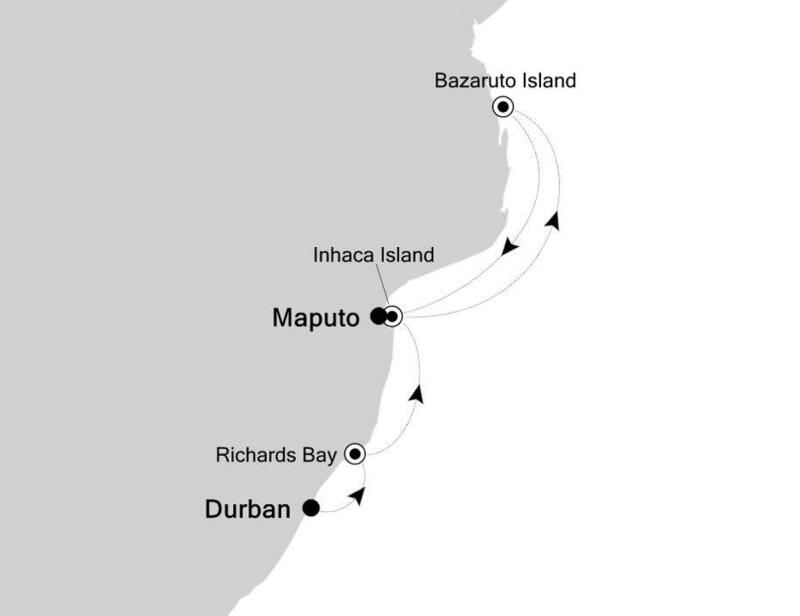 This six-day cruise offers a glimpse of some the less-visited corners of South Africa, as well as calling at its neighbor, Mozambique. You’ll start in Durban, on South Africa’s east coast—the country’s third-largest city somehow flies under the radar of most international visitors, despite miles of golden beaches and a vibrant Afro-Indian culture. Sailing north, you’ll call at Bazaruto Island, in the Bazaruto National Park, known for its turtles, sharks, and colorful reef fish. Finally, you’ll end your week in Maputo, Mozambique’s capital. Its boulevards lined with palm trees are a legacy of the Portuguese, who long ruled Mozambique. Your home for this cruise is the 116-guest Silver Discoverer. 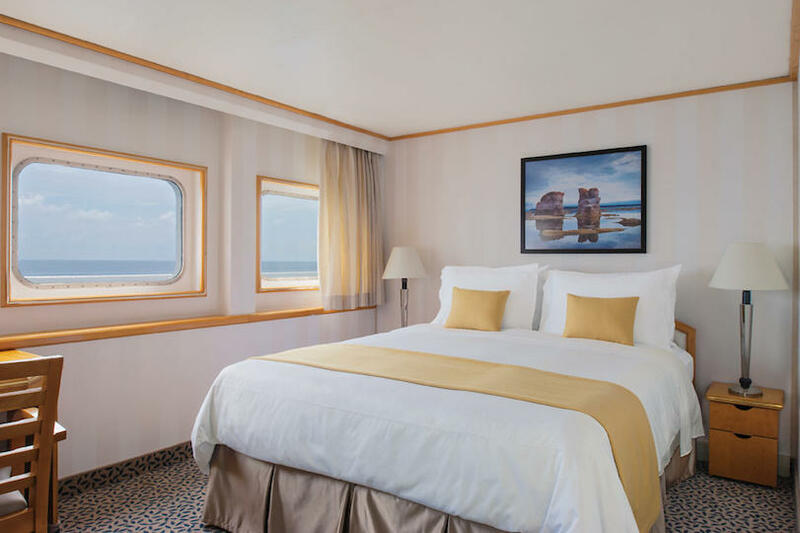 Its shallow draft is suited to exploring the smaller ports of Africa while its all ocean-view suites are perfect for admiring the continent’s coastline and the Indian Ocean, stretching to the horizon. The Chilean port of Valparaiso, a UNESCO World Heritage Site, is the starting point for this nine-day journey back in time, which includes stops that introduce some of the legends and mysteries of the Pacific. 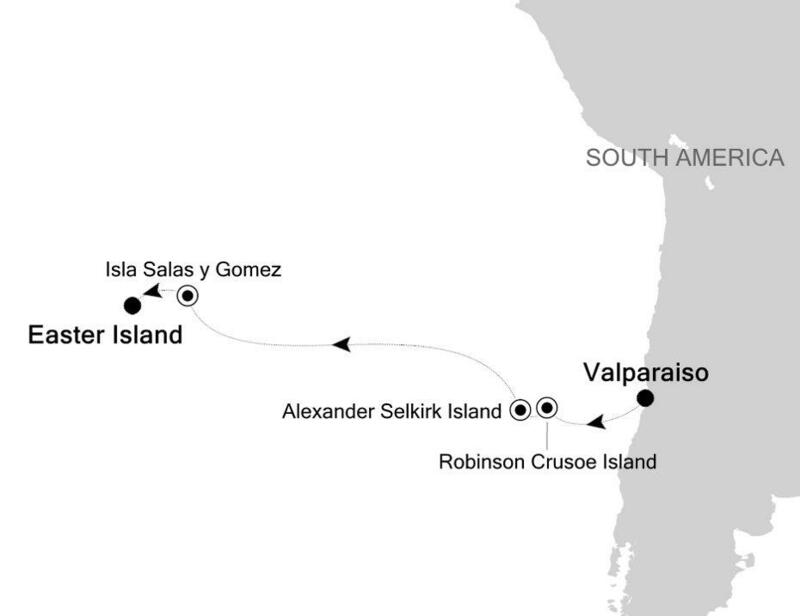 You’ll first call at Robinson Crusoe Island, where Alexander Selkirk was marooned—his true-life story inspired Daniel Defoe’s novel. Today the Juan Fernandez Archipelago, to which the island belongs, is noted for its remarkable biodiversity. You’ll continue on to the Isla Sala y Gomez, a small and isolated uninhabited island with waters teeming with marine life. Finally, you’ll end this adventure on Easter Island, or Rapa Nui to use its Polynesian name. The island is best known for its massive moai, huge stone heads carved by the island’s Polynesian settlers. Almost 900 of them have been unearthed, forming what has been described as the world’s largest open-air museum. This 13-day itinerary includes some of the most remote and intriguing islands in the Pacific, as well as glimpses of Japan, far from the bright lights of Tokyo. You’ll begin in Guam, one of the most distant outposts of the United States. As you travel north, you’ll call at some of the Mariana Islands, where submerged caldera bring to life the phrase “ring of fire,” often used to describe the area of volcanic and seismic activity that circles the Pacific. After a day at sea, you’ll reach Japan where the cruise stops at more remote islands in the archipelago, like the Ogasawara Islands, which have been called the Galapagos of Japan, with their remarkable biodiversity. Torishima, or Bird Island, is as its name implies a must-visit for birders—it’s one of only four islands where short-tailed albatrosses live. 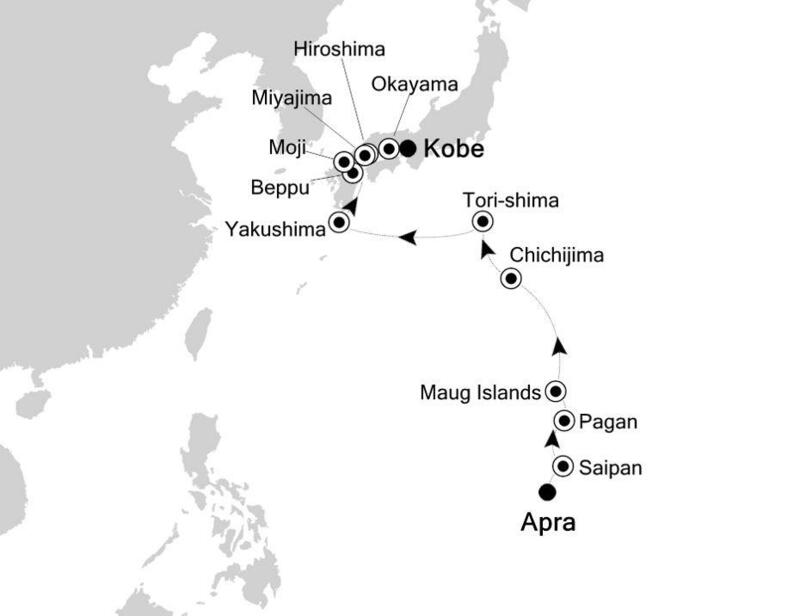 Finally, some of Japan’s cultural highlights, like Hiroshima and Kobe, round out the itinerary. 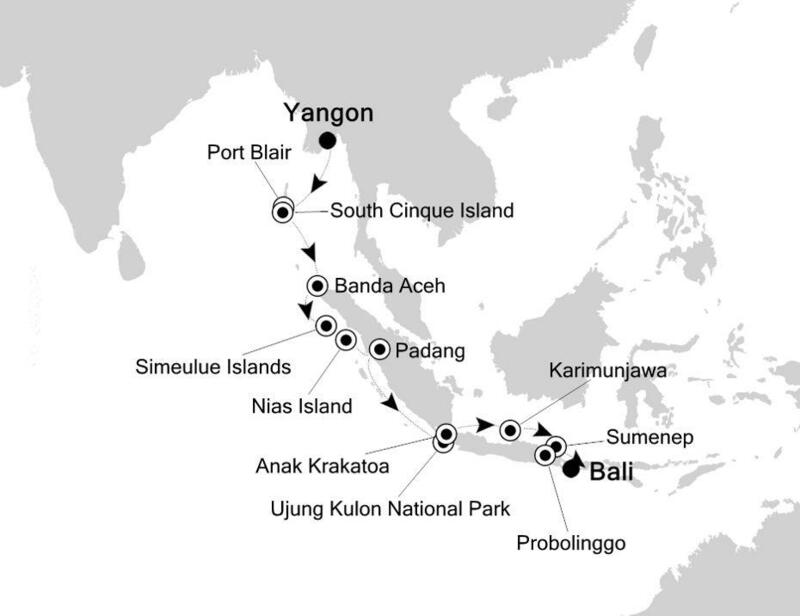 This 15-day itinerary begins and ends in two of Asia’s most famous destinations. You’ll start in Rangoon, or Yangon, a city that can feel lost in time, thanks to Burma’s (or Myanmar’s) decades of political isolation. At the other end of cruise, you disembark at Bali, the island famous for its Hindu temples, emerald rice terraces, and handicrafts. Between the two, you’ll visit some of the most remote islands and ports of Indonesia, as well as India’s Andaman Islands. In the Simeulue Islands, you’ll get to explore one of the most biodiverse archipelagos in the region. As you sail along Anak Krakatoa, you’ll be in the shadow of an active volcano, with its lava flows and fumaroles providing a dazzling spectacle. At Karimunjawa, you’ll get to explore the archipelago of 27 tropical islands and have a Robinson Crusoe experience for a day. Of course, the shipwrecked Crusoe would envy you and the fact that you get to return to the luxury of the 116-guest Silver Discoverer at the end of your day. 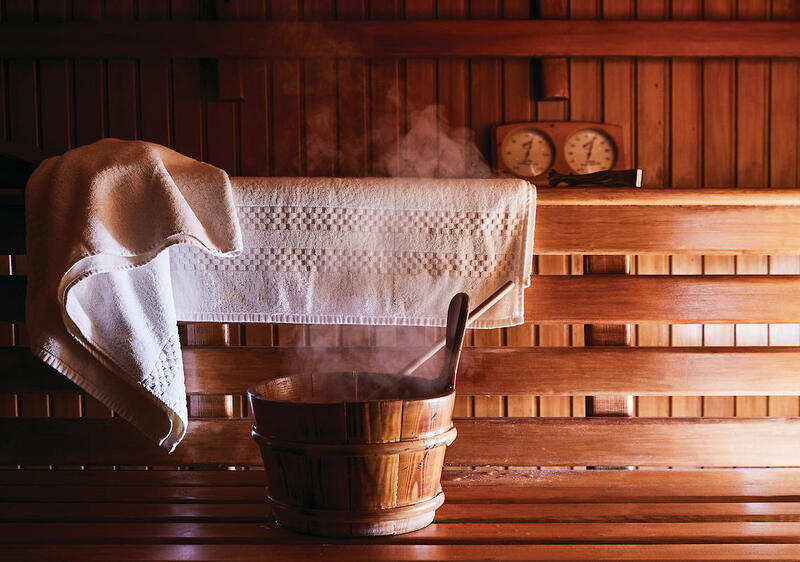 Silversea’s fleet of ships are known for combining the thrill of discovery with opportunities to indulge mind and body in some of the most luxurious surroundings at sea. 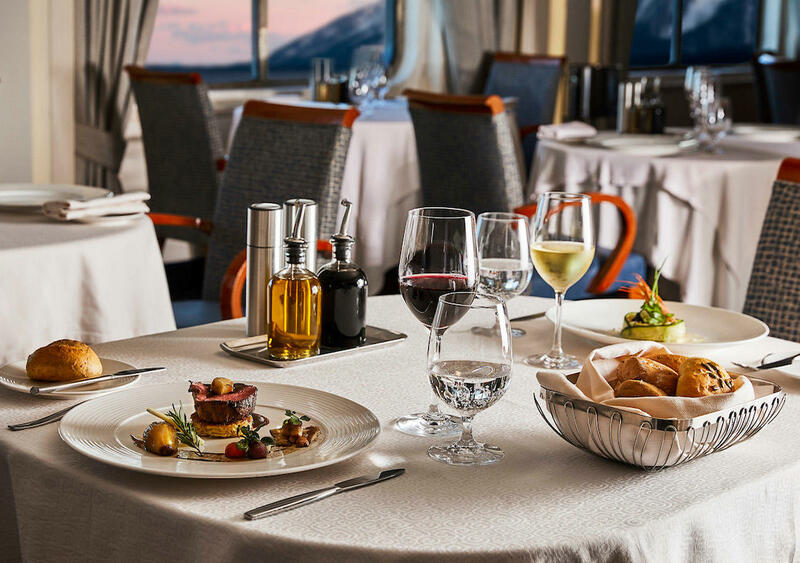 With their small size, Silversea ships can visit ports inaccessible to larger vessels while onboard the line’s famous service includes butlers for every cabin while culinary excellence is showcased through a partnership with Relais & Châteaux. 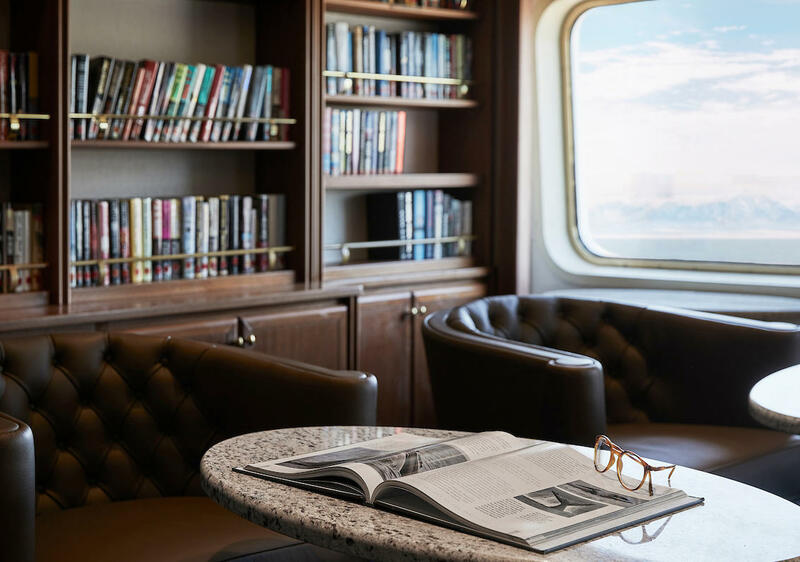 Silversea’s intimate luxury extends to the line’s purpose-built expedition ships which can transport you to the furthermost corners of the planet. 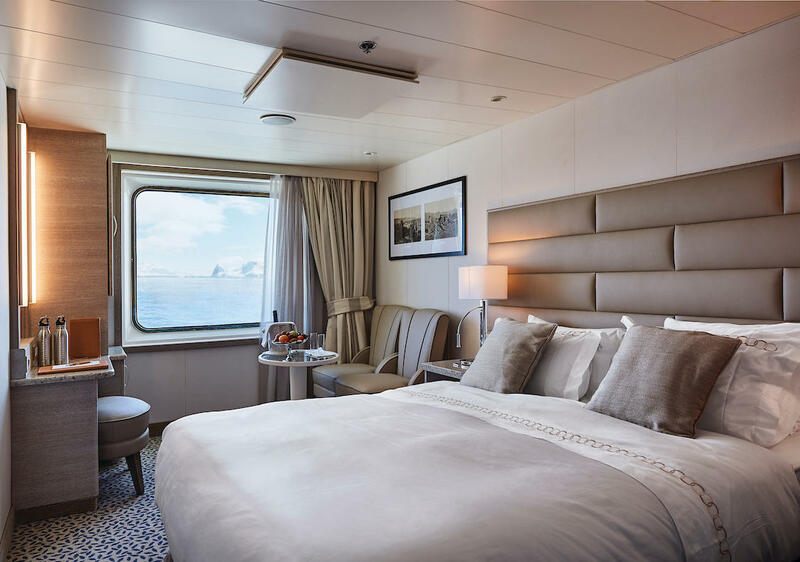 Whether you sail to the polar regions aboard the Silver Cloud or the Pacific with Silver Discoverer, you’ll find a vessel with all the features of a state-of-the-art expedition ship, from fleets of Zodiacs to naturalists on board, paired with the comforts you expect from Silversea. 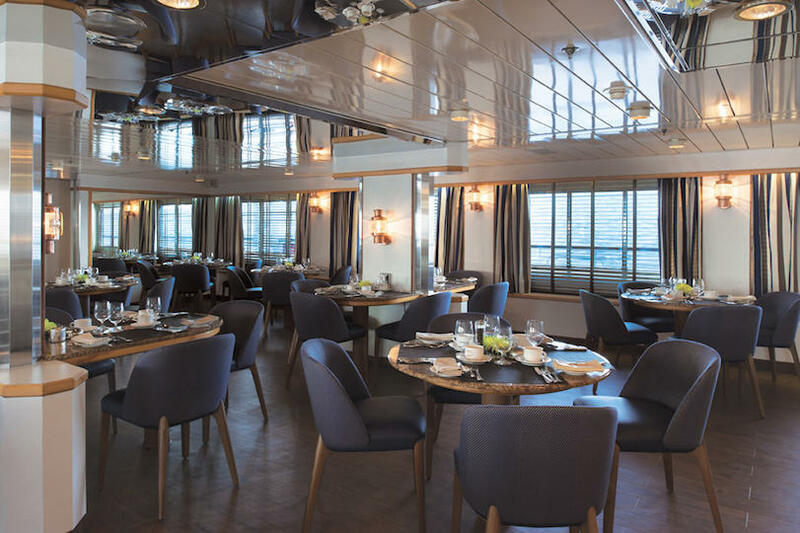 With 16-brand new Zodiacs, the only Relais & Chateaux restaurant in Antarctica, and a pole-to-pole expedition itinerary, Silver Cloud break the ice separation expedition ships and luxury ones. With all-inclusive dining, service, and shore excursions, 118-guest Silver Explorer is expedition cruising at its very best. 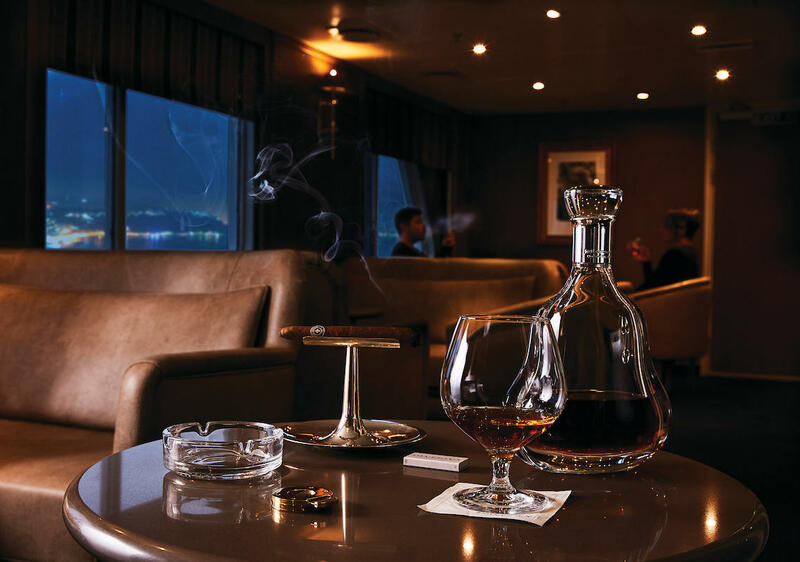 Fresh from a refurbishment in 2017 and offering award-winning itineraries, this ship is the perfect combination of adventure and comfort.